Wanted to know how many still have case 320 TLB. Use mine for digging out rocks, picking farm equipment up with the bucket, and digging ditches. Could be that mine is one of the only ones still working. Nephew has one in central Mi that still gets used. Northeast Washington could be Spokane Wa. One I have is in Northwest Washington in the San Juan islands I have has had a lot of major repairs by me over the years. It is in good working condition and wish I could see a picture of the one in Northeast Wa. Dad is actually about 80 miles northwest of Spokane near hunters. I don?t have any pictures of it. Does not look as nice as yours. I think he bought it about 30 years ago with a bad engine, a clutch and something went wrong with the shuttle at some point. Living out life as a farm hoe. I have a 480B that bought a couple years ago, a lot like the 320 as it is a gas engine mechanical shuttle. Has a smaller loader and hoe than a 580. I bought mine from a tractor dealer in Everett, Wa 40 years ago. Dealership changed from an IHC dealership to a Kubota dealer. work. 480 you have is a nice TLB. Maybe you won't see this as it's so far down the list, but there is quite a few here in central MI. We had one for a long time around here, it was my grandpa's old backhoe. It was REALLY worn out. Every single thing on it had been broken and welded at some time or another. The engine used/leaked oil, and it leaked hydraulic oil everywhere. So, because of that, my grandpa filled the hydraulics and the engine oil when it was low with used oil. That only made everything worse obviously. My next door neighbor had one he bought from another neighbor that had a bad engine due to a poor engine rebuild. After my grandpa passed, a couple years later we sold the 320 to the neighbor that had the one with the bad engine for parts for $800. 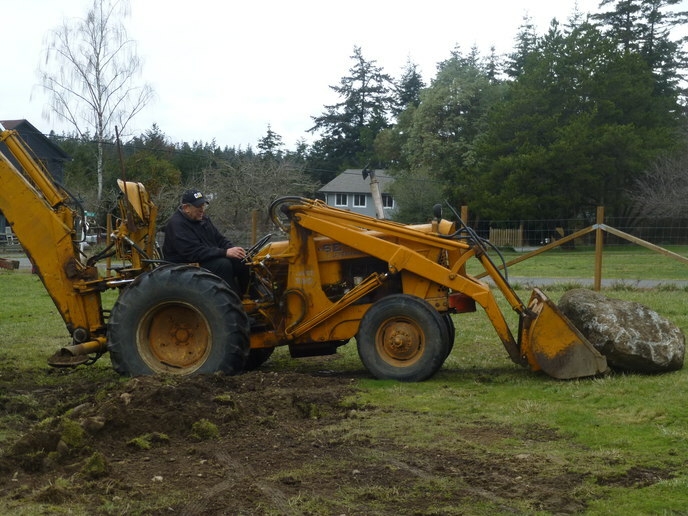 He made one really nice backhoe out of the 2 and completely rebuilt the engine, the shuttle and transmission, and resealed/rebuilt all of the hydraulic components and put all new hoses on it. He said he couldn't buy a nice one for what little he spent on redoing the 320, and since he doesn't need a big backhoe, it works just fine for him and he figured it'd last the rest of his life. I watched a 320 sell at an auction about 7 miles away about 4 years ago, it was very clean, all original, and absolutely immaculate. It went for $5800! I had a guy tell me he wanted me to look at his backhoe this past summer, wondered if I would be interested in it, all I knew was it was a Case. Went and looked, it was another 320! It was no where near as bad as the one we had, but had a lot of welding in a lot of the same spots as ours. He said the engine had set up from setting, he got it freed up, then let it set again for a year, and was stuck again. Said he wanted $1500 for it. I passed, it still sets there, about 5 miles away from my house. Maybe if he comes down, a lot. to me that there are still 320 TLB around. One I have is in Excellent shape. Good to know that to the right buyer it should be worth several thousand dollars. It also has the eagle hitch for running 3 point eq. when the backhoe is removed.Have looked at some of the smaller kutota TLB BX 23, BX 25 they are very expensive.